I passed an entrance examination to Hornsey College of Art in 1951 where I studied for five years gaining a NDD qualification in the final year. From 1956 to 1958 I served in the Army as a National Serviceman. On leaving the forces I gained employment at a London advertising agency after which I worked in several agencies, firstly as a typographer and subsequently managing in-house studios. The last ten years of employment was spent running an independent studio as a freelance artist supplying artwork to London agencies. 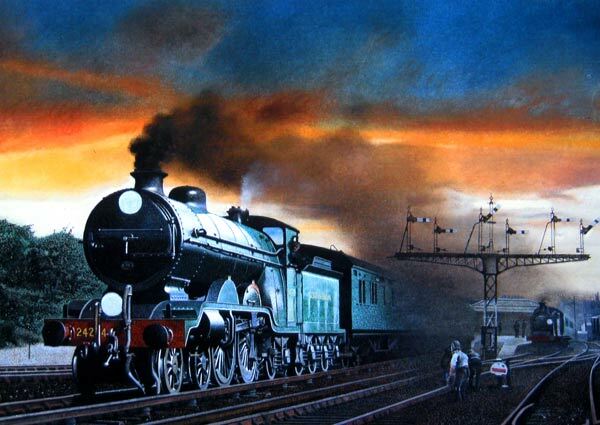 Now retired and living in Bognor Regis I spend considerable time painting railway subjects mostly indispersed with planes, cars and as a change local landscape scenes. My chosen medium is a combination of gouache and pastel although I also indulge in oils and pen and pencil. 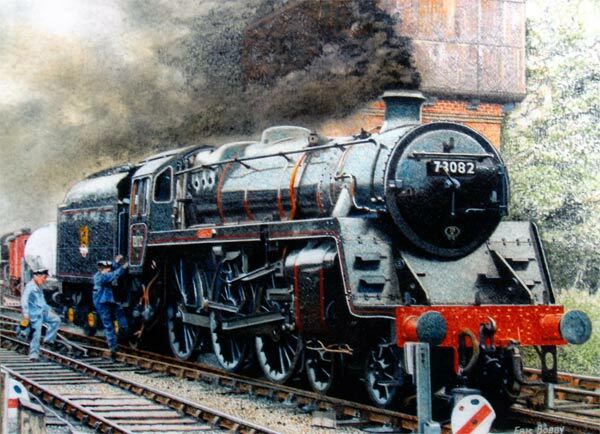 British Railways class 5 steam loco 73082 Camelot at Sheffield Park on the Bluebell Railway. 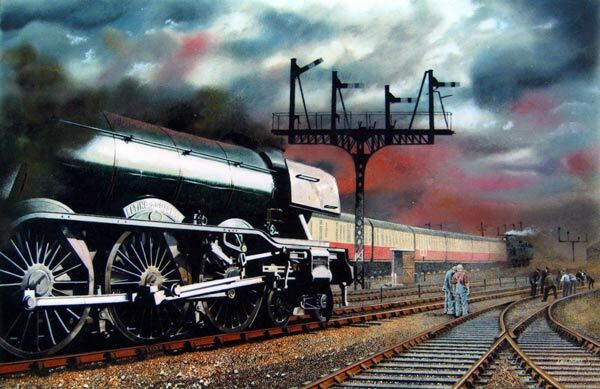 Gresley A3 Pacific 'Flying Scotsman' on the East Coast mainline in 1960. 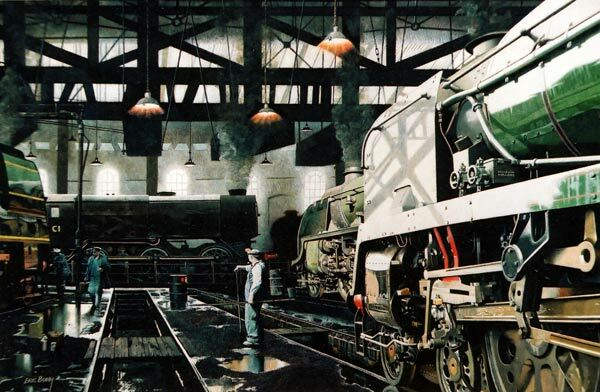 The Southern Region steam locomotive shed at Guildford in 1966.